I was invited to a Food Bloggers dinner to review the new menu Gaylord recently rolled out, you may recall that I have visited Gaylord just once before, for a friend’s birthday so therefore this post will need no introduction! (Review found here). Warning: A few more photos than usual, sorry for the JPEG spam, we ate nearly everything! Murg Malai Tikka, Zaffrani Chicken Tikka, and Murg Gilafi Seekh dishes were also tried, giving us a variety of Chicken to taste! Tacos Galore! Spicy Rajma, with red Kidney Beans, or Lamb Seekh Kebab. The tacos were Gaylord’s twist of the evening, an Indian take on Mexican tacos, can be fiddly since you crunch your way through the crisp texture, but it was worth the effort. I was so full I’m not sure I tried everything, I knew I had to leave space for dessert and I was not disappointed! Unfortunately food bloggers sitting near me, selenatheplaces, foodycatAlicia, theyoungdomesticgoddess and londonkiwi had to leave early, so I took the opportunity to wolf down the rest of the carrot pudding (Gajar Halwa). (They have amazing blogs by the way, so please check them out!) The carrot pudding dessert was so good I could have eaten two portions! So I was taken by surprise by the second dessert, Gulab Jamun Flambeed, it was similar to taking a vodka shot due to how strong the rum was infused into this cup. A very eye-catching dessert though. 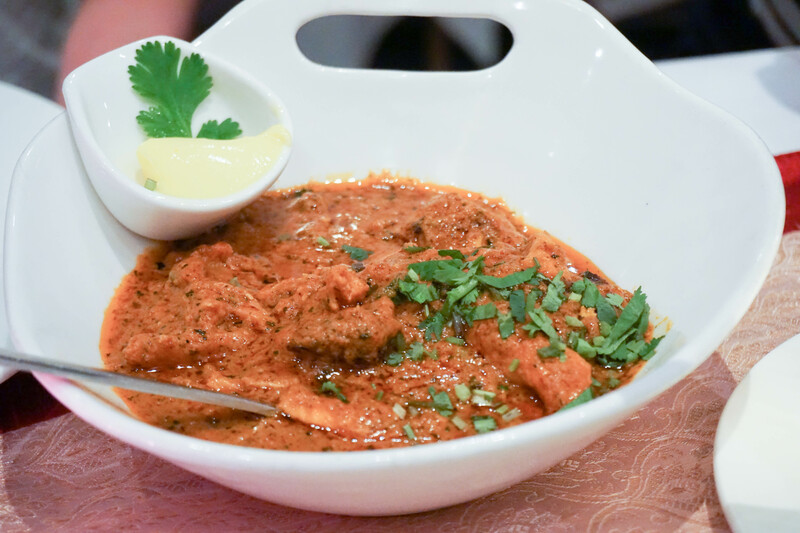 All in all, if you love your curry, and you love your alcohol, pop by to Gaylord off Mortimer Street. There’s no excuse. It’s in Oxford Circus, it’s as central as it can get! Service: Given that there was a near dozen of us, service was more than satisfactory, attentive, friendly but not intrusive. Sameer, the general manager was constantly on the side to help with any specific queries. New menu also includes a grand Thali dish available for lunch only, it looks pretty epic so have a look!